Need some help with your pre-event promotions? We’re happy to lend a hand! 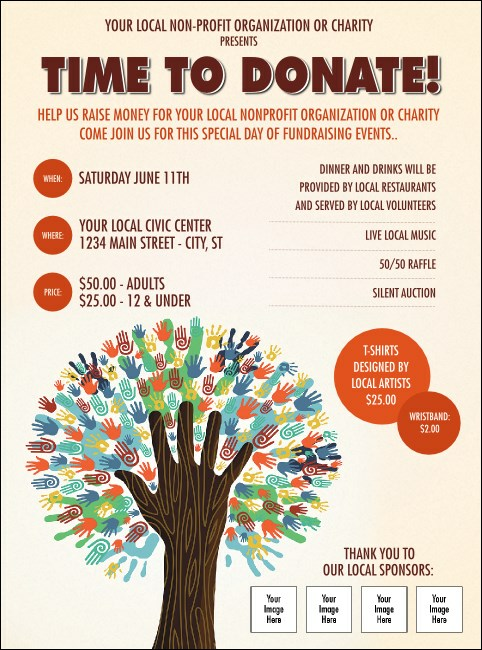 Try printing Fundraiser Tree Flyers in advance, and watch your ticket sales grow. With room on the template to upload four unique images on an off-white background, and a beautifully designed tree made entirely of handprints, these Flyers will really help your event take root. Grow your donations with great advertising at TicketPrinting.com.